The most famous Tegalalang tourist attractions are rice terraces, forming a landscape you'll be hard-pressed to find elsewhere in the world. The cool and breezy location is ideal for resting and taking photos--the spot has inspired many painters and photographers. Tegalalang is in Gianyar Regency. 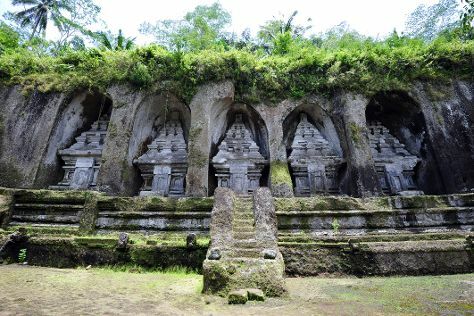 When using our Indonesia trip builder to make an itinerary online, Tegalalang holidays come together around your tastes, interests, and requirements, with us taking care of the logistics. Tegalalang's terraced rice fields and paddies make a stunning natural landscape to accompany its collection of hotels, villas, and retreats. Reserve in advance to avoid missing a special find, as many of the resorts and villas become fully booked during summertime.